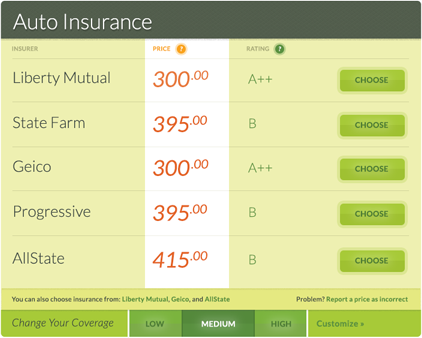 Leaky: Compare car insurance the easy way. 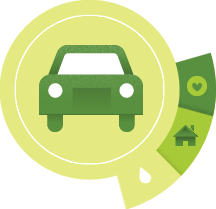 Compare car insurance the easy way. We keep your wallet from leaking by helping you compare and manage your insurance. Save 96 minutes and $362 on average. Compare prices and plans, figure out what will work best for you, and find the best deal. Manage all your insurance information in one convenient spot. Instead of stressing about insurance, use your new-found free time to start a new hobby. Woodworking, perhaps? Compare to your heart’s content. What if you got more insurance? Less? What if you switched to the insurance with the cute animal mascot? What if you total your car tomorrow? What if your teenager totals your car tomorrow? Take the mystery out of your insurance. Leaky lets you compare plans, prices, and potential scenarios so that you know exactly what you're getting and what you're missing. Leaky is impartial. Leaky respects your privacy. 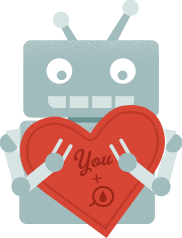 Leaky doesn't sell your personal information to spammers, junk mailers, or telemarketers. And while we may talk about ourselves in the third person too much, we take your trust very seriously. Between the coverage options, the renewal dates, and the confusing questions for yourself, your car, your home, and your business... your insurance piles up quickly. Leaky helps you manage and monitor your insurance to make sure that nothing gets lost or forgotten. We even let you know when we think you can save money so that you get the best deal possible! Heck, we would take care of your dog when you're out of town, if we could. Everyone's first stop should be Leaky, it's the best way to shop for insurance. Managing my family's auto insurance was always a pain, it's great to know that Leaky is monitoring it for my peace of mind. [Progressive] came back with a new price that was $900 lower per year... Thank you! All Rights Reserved. Copyright © 2013 Leaky. On August 31, 2013, we wrapped up operations on our auto insurance comparison business and will no longer be providing prices to new or existing users. Moving forward, our focus will be on our commercial insurance business, which has been acquired by Navion Insurance. Since 2011, Leaky gave people access to holistic and transparent auto insurance comparisons from the top insurers in the US. This disruptive business model was made possible by reverse-engineering the pricing models of over 100 insurers, with or without their permission, through publicly-available government documents. And since inception, we were able to achieve this without selling user information—now that we've closed, all of our existing user data and account information has been deleted. There is no additional action that our users need to take. And most importantly, saved our users over $40 million on their auto insurance, and over 8 years of time that would have otherwise been spent comparing policies.